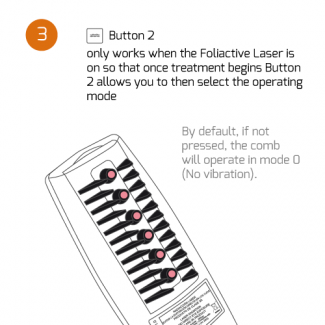 Foliactive Laser is a laser comb for hair loss that helps stop hair loss by combining laser light with patented technology Vibratonic®. The micro-vibration effect technology massages and stimulates blood flow to the scalp thus improving the quality of hair. Therefore nutrients reach the hair more efficiently to and strengthen it. The laser comb now comes with a new a USB charging connection. 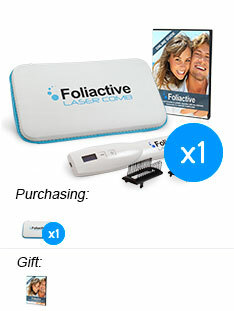 What is the Foliactive Laser? Properties: Promotes hair growth by laser therapy and patented Vibratonic® technology. Vibratone® technology: Is based on a tiny vibration massage effect technology, which stimulates blood circulation. 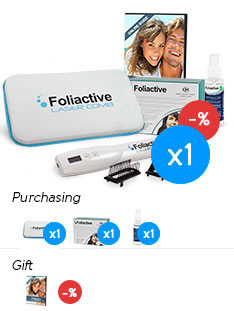 Thanks to the ONLINE Guide to Hair Care you get free with the purchase of any of the Foliactive products, you’ll understand the causes of hair loss and the specific care in order to eradicate the problem in a much more effective way. 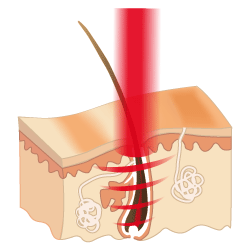 How does the Foliactive Laser technology for hair loss work? Fight hair loss naturally thanks to the combination of laser light and patented technology Vibratonic® which is based on tiny vibrations which improve blood flow to the scalp. 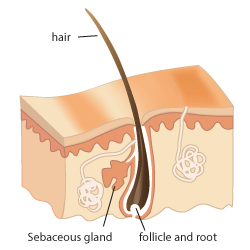 Thereby, the nutrients needed by the hair more easily reach the hair follicles. 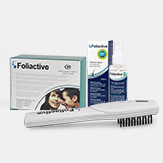 These nutrients are provided by complementary products such as Foliactive Pills or Foliactive Spray so it is advisable to combine these treatments together. 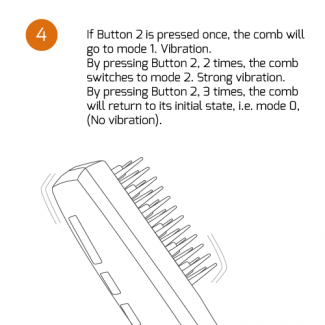 Together, both the micro-vibrations and light rays from the comb, penetrate the skin by increasing blood flow, oxygenating and allowing nutrients to the tissues. 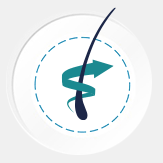 The combination of irradiation and massage produce a small temperature rise in the tissues causing vasodilatation and allows nutrients to reach the hair follicles. The stimulation of the blood in the scalp by the wavelength of light of the laser therapy, improves cell activity which allows more nutrients to reach the scalp thereby increasing growth. 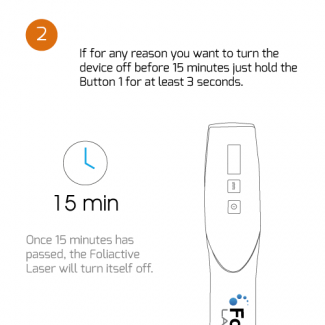 In addition: Foliactive Laserhas been redesigned to change the charging method, with a USB connection It is smaller and also comes with a case so the laser comb can be carried anywhere comfortably. The results Foliactive Laser are visible after a few weeks of use. 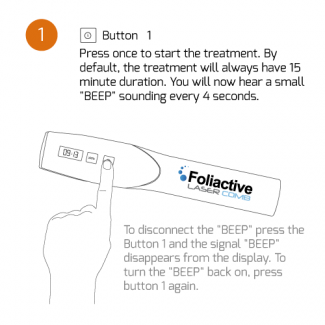 When combined with the treatment of pills and spray, its effectiveness is more noticeable and you will see the results obtained in a short time. 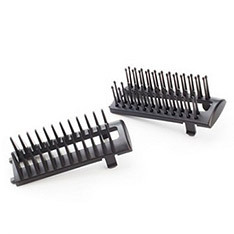 The operation of the laser comb is very simple and easy. Now with the new charging mode, it’s much more comfortable. 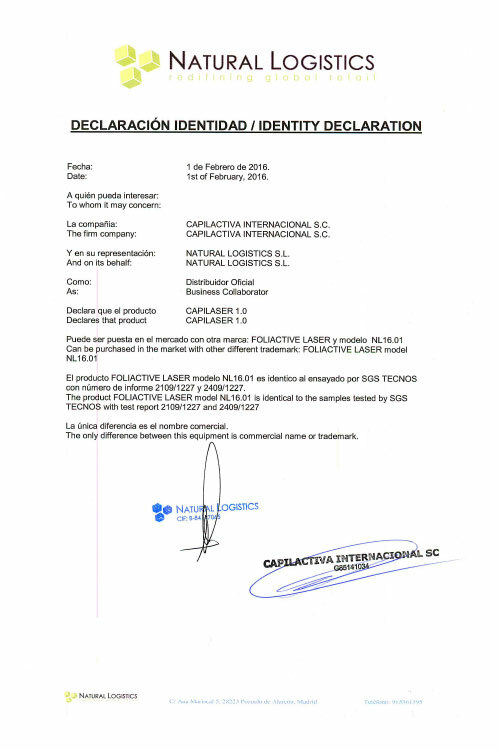 The case of the new Foliactive Laser consists of all the components necessary for the proper functioning of the product. Has a display and two buttons to make it work. 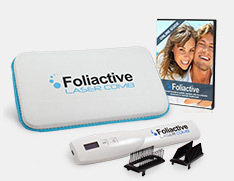 The case of the new Foliactive Laser consists of all the components necessary for the proper functioning of the product. 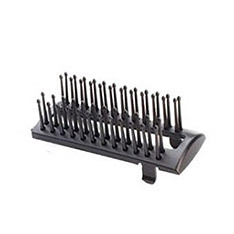 Now with a USB plug at the top of the comb it makes it more comfortable to use. There are two prongs of different firmness; one that is installed, which is soft and another much stronger for replacement. 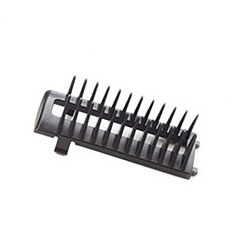 To store the comb to carry comfortably. For optimal hair care effects, we recommend the combination of the Foliactive Laser, the food supplement – Foliactive Pills and Foliactive Spray lotion. 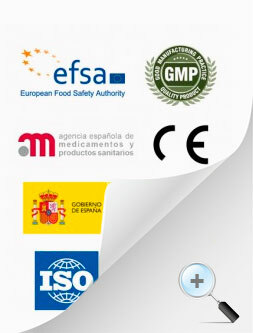 All products in the Foliactive brand have different quality certificates showing the reliability of all of them, and the effectiveness of the product and its results. 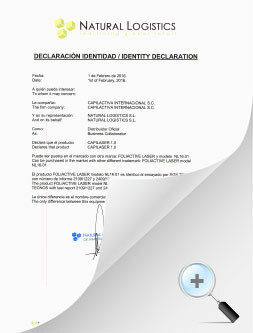 QUALITY CERTIFICATES: Foliactive has the following certificates. 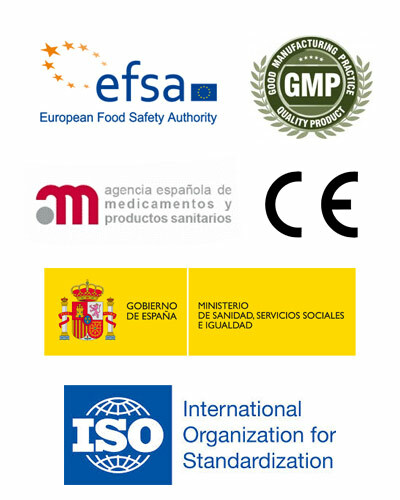 REGISTERED IN THE EU: The laser meets all necessary European Union regulations.